Come join us for fun and friendship. 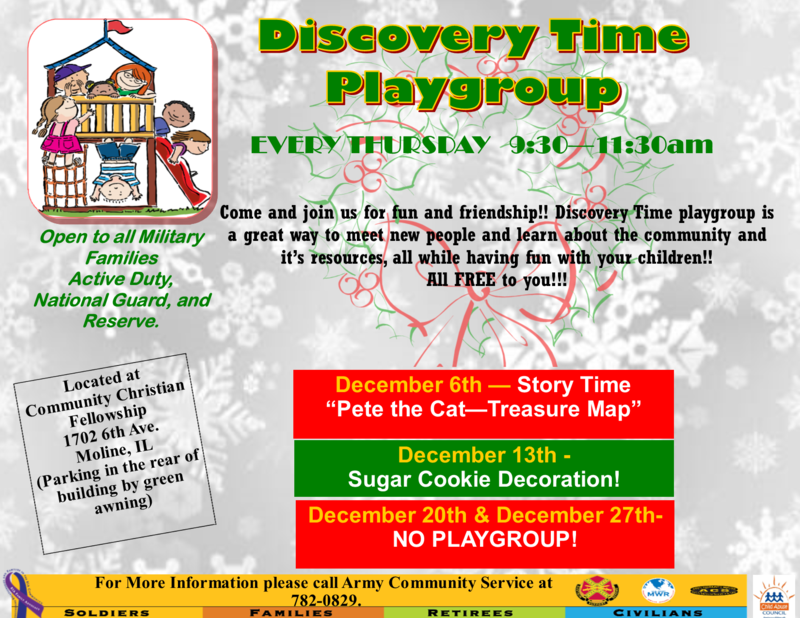 Discovery Time Playgroup is a great way to meet new people and learn about the community and it's resources, all while having fun with your children. All FREE to you! For more info please call Army Community Service at +1 (309) 782-0829.